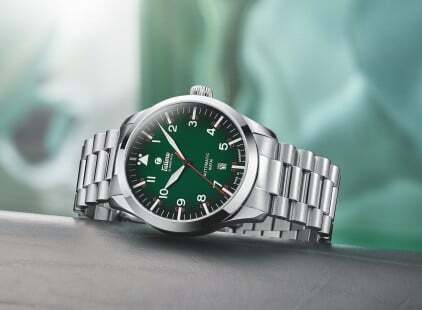 Tempostopp 6650-01 | Tutima Glashütte/Sa. Tempostopp 6650-01 - Tutima Glashütte/Sa. 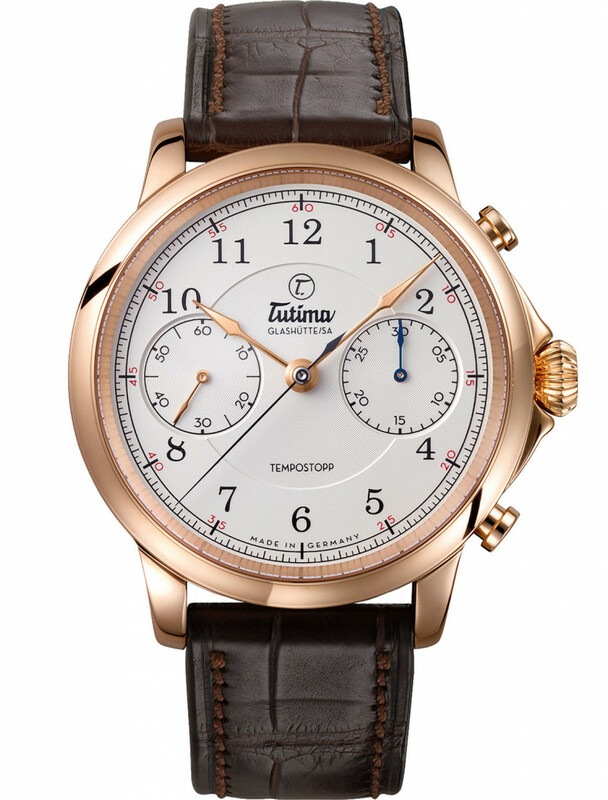 Tutima’s new chronograph Calibre T659 with Tempostopp. Movement details: Hand-wound movement. Diameter 33,7 mm, height 6,6 mm, 28 jewels. Screw balance with gold weighted screws and four regulating screws in slotted, threaded holes; free-sprung Breguet hairspring. 21.600 vph (3 Hertz). Power reserve when fully wound 65 hours. Functions: Hours, minutes, small second; chronograph with additive stopping, flyback function, jumping counter for up to 30 elapsed-minutes. Case details: 18 karat rose gold 4N; sapphire crystals with antireflective coating, sapphire case back.